Larnelle's new book hits #1 on Amazon! Larnelle just released his first memoir entitled "Shaped Notes: How Ordinary People with Extraordinary Gifts Influenced my Life and Career." Co-written with critically-acclaimed author, Christine Schaub who wrote the best-selling Music of the Heart series, "Shaped Notes" may surprise some of Larnelle's long-time fans. Check out more about the brand-new book by clicking this link. Larnelle was part of media day for the opening of the Dollywood theme park in Pigeon Forge, TN on March 16, 2018. 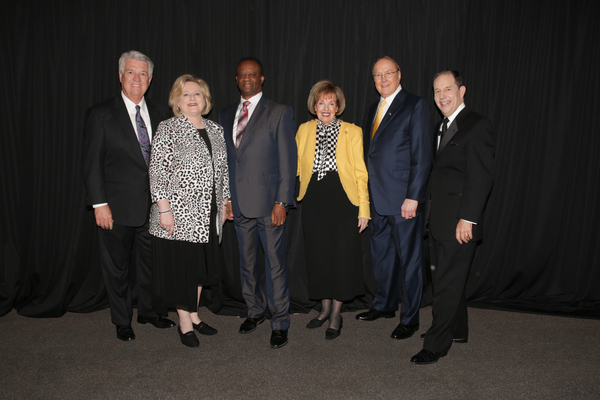 Larnelle was chosen to represent Inspiration Music Week at Dollywood to be held April 18-23 featuring Larnelle, Amy Grant, Wayne Watson, Chonda Pierce, Dallas Holm, among others. 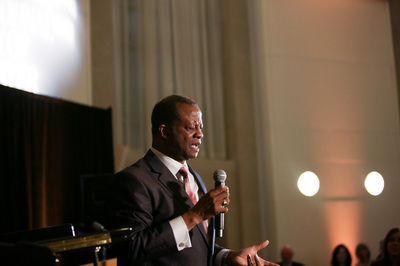 Many news organizations covered the event saying: "Hall of Fame vocalist and five-time Grammy winner, Larnelle Harris, brought lots of cheers from the audience as he performed during the show." For more information, visit Dollywood.com. Larnelle releases two brand-new songs! "...he sounds as good as ever!" "...an amazing song, very important message, and Larnelle's incredible vocals..."
"I played it 3 times and then sat in prayer for 20 minutes..."
Larnelle Harris was honored with a Heritage Award from the National Convention of Gospel Choirs and Choruses (NCGCC) at their 83rd annual convention in Harris’ hometown of Louisville, Kentucky. Harris says it was a humbling experience. 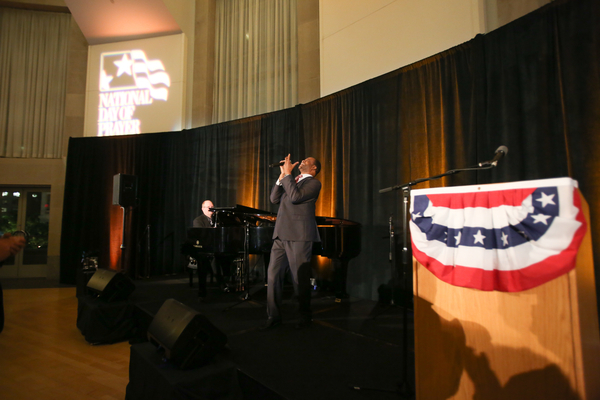 Larnelle sings for National Day of Prayer event in Washington D.C.
Twitter fans loved Larnelle on the historic CCM United concert! Most moving of the night came with @SandiPattyP and Larnelle Harris. Wept & worshiped. In the spirit of having church, I'm throwing my shoe at Larnelle Harris for vocals beyond perfection! This #CCMUnited event is unreal! Larnelle Harris just rocked "Amen"
Larnelle Harris just blew up #CCMUnited - still rocks the mic with power! Larnelle Harris takes us all to school and back. Larnelle and Sandi still have some pipes! For the record...LARNELLE still HAS it! Larnelle Harris - just brought the house to their feet!! Larnelle Harris' voice hasn't changed a bit! Larnelle received his fourth Hall of Fame induction as both current and former members of the Gaither Vocal Band were recognized at the 2014 GMA Honors ceremony. A video presentation highlighted the history of the GVB, which has delighted fans for more than 32 years to date, has recorded more than 400 beloved songs, received 17 GMA Dove Awards and two Grammy awards. See full story here.